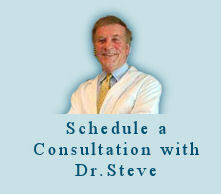 You can request a private consultation with Dr. Steve for a nominal fee. During this consultation he will delve into your health history and seek to lead you down a path to optimal health. Dr. Steve is also happy to answer your questions of a health-related nature. The consultation includes a written analysis which will be mailed to you. If you are not in our geographical area, please be aware that phone consultations are also available. Phone consultations can be paid by credit card. You can stop by in person, call by phone or email him at Dr. Steve. Please call for an appointment. In addition, you can purchase any of our high quality vitamins and herbals at the time of your consultation or by calling our center and paying with your credit card.